In keeping with the material palette that we developed for the SOHO shop, we focused on minimal materials with maximal tactile effects. Faux fur became the operative material of choice throughout this project. This shop reflects a new shift in the Bulletin brand. 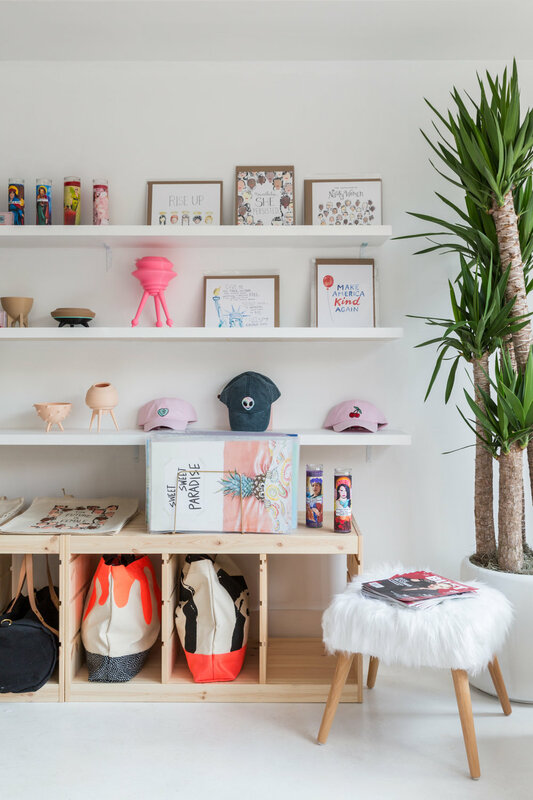 For this project, we envisioned this retail space as an activist space, as opposed to a consumer space. 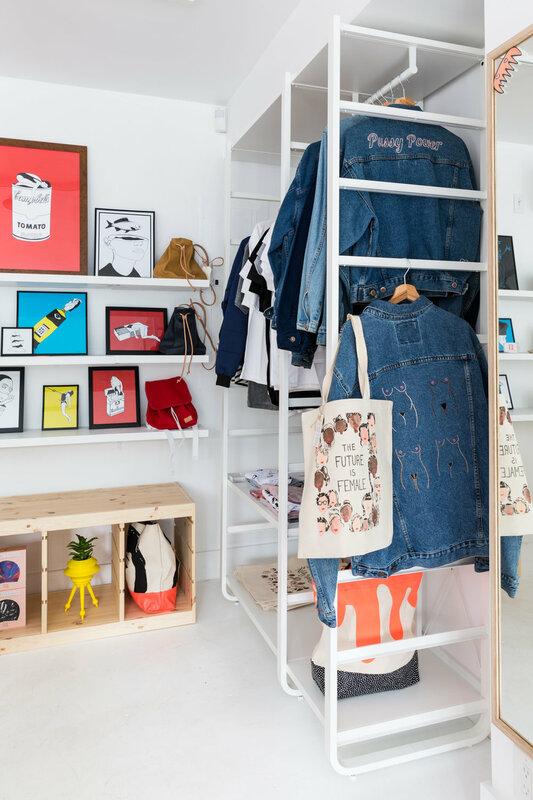 The launch of this shop centered around all-female brands with a decidedly feminist agenda. It was a space to assemble, find opportunities for political action, and celebrate feminism in various forms. Programming became crucial - we created signup stations for shoppers to sign up and donate to different organizations. 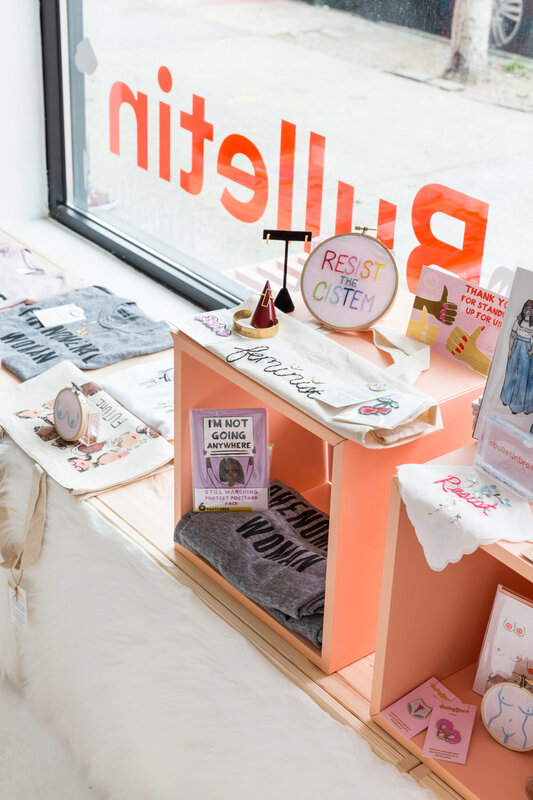 The declarative nature of this space is important, so that the community comes in, takes photos, and declares their politically active nature by aligning themselves with this brand. 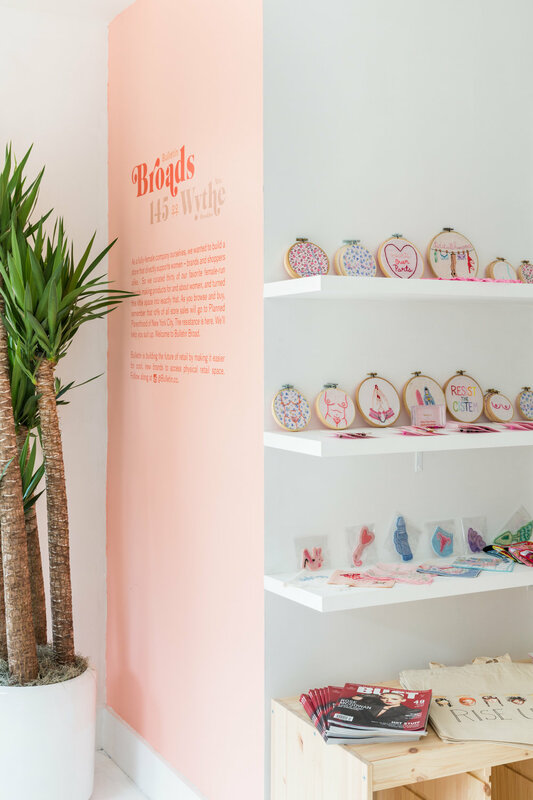 "As a fully-female company ourselves, we wanted to build a store that directly supports women - brands and shoppers alike. 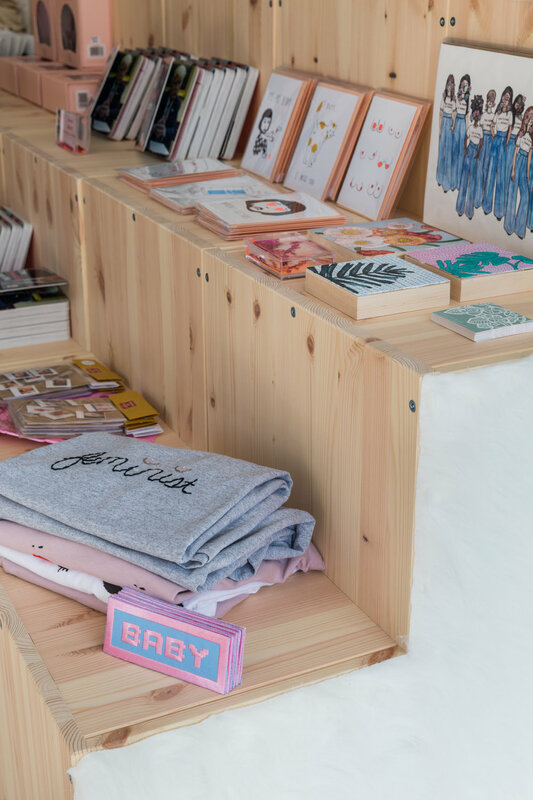 So we curated thirty of our favorite female-run brands making products for and about women, and turned this little space into exactly that. 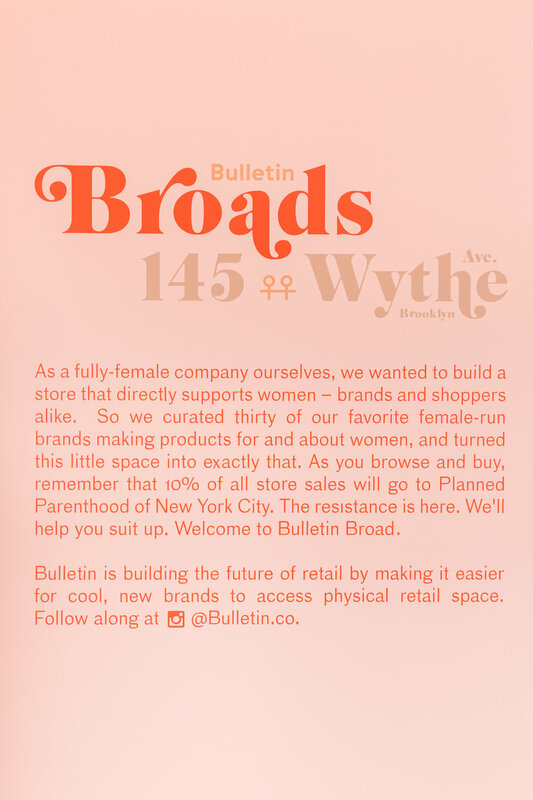 As you browse and buy, remember that 10% of all store sales will go to Planned Parenthood of New York City. The resistance is here. We'll help you suit up. 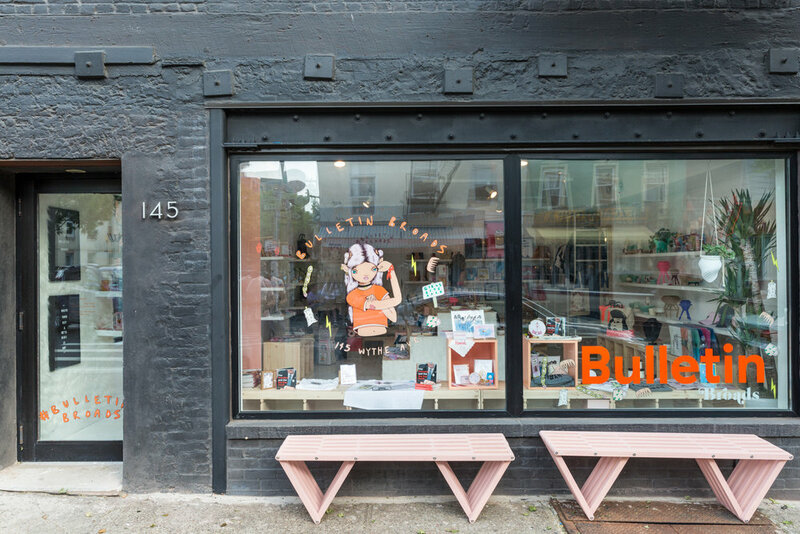 Bulletin is building the future of retail space."